What do you get when you combine the immortality of Highlander with the backwards aging ability of Benjamin Button? Turritopsis dohrnii, the immortal jellyfish! This little invertebrate is smaller than a pinky nail, measuring about 4.5mm wide in its adult state, but credited with being able to live forever. Of course, this excludes extreme physical damage or being eaten. The highlander of the sea is what's called a hydrozoa, a class of invertebrates that can live in freshwater or the ocean, and immortal jellyfish can be found all over the world. They are transparent with a bright red stomach and can have up to 90 tentacles. Turritopsis dohrnii can also easily be confused with Turritopsis nutricula and rubra, which look similar but don't come with the cool immortality feature. While there are still many mysteries regarding immortal jellyfish, these tiny creatures are important to humanity for obvious reasons. But is this jellyfish really immortal? And, more importantly, would Connor MacLeod approve? Instead of dying from old age, the immortal jellyfish transform themselves from an adult back to a juvenile polyp state. In this way, they never die of old age. Instead, they constantly revert to the beginning of their lifecycle, enacting a biological manifestation of reincarnation. They sink to the ocean floor, retract their tentacles, and shrink their bodies until they basically turn into a blob and start the growth process from the beginning. Unless something external happens to interrupt this process, they can re-grow themselves over and over again. Transdifferentiation refers to the immortal jellyfish's ability to transform one kind of cell to another. For instance, a muscle cell can be used to create a nerve cell. They can also use this process to create genetic copies of themselves. Researches have determined that this process is how the immortal jellyfish reverses its age, although they are still unsure exactly how they manage it. Transdifferentiation also occurs in human stem cells. By studying this process in immortal jellyfish, scientists may better understand and apply these ideas to utilize stem cells to improve human health. The Turritopsis dohrnii ability to revert in age is amazing, but so far has only been observed in a laboratory setting, not in nature. They are also considered difficult creatures to study, largely due to the fact that culturing them – letting them reproduce in the lab – isn't easy. They require careful attention and care that can be tedious and repetitive. Researchers are also unclear about the conditions needed for their reproduction, further complicating matters. Shin Kubota, a Japanese biologist, is thought to be the only scientist culturing the Turritopsis dohrnii in a lab environment. He has minimal funding and works alone, but has spent over 15 years caring for his jellies. Kubota believes the immortal jelly is an important creature to study, commenting, "Once we determine how the jellyfish rejuvenates itself, we should achieve very great things. My opinion is that we will evolve and become immortal ourselves." 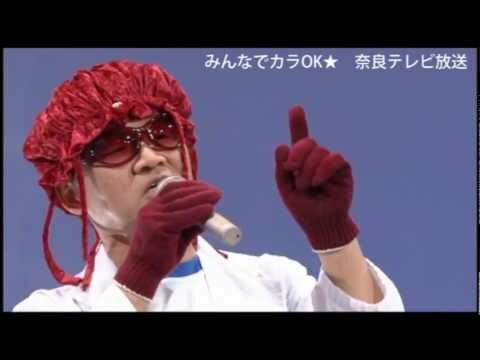 Kubota is considered the Bill Nye of Japan, appearing on national television as a celebrity. He also writes and performs his own songs, some of which can be found on karaoke machines across the country.